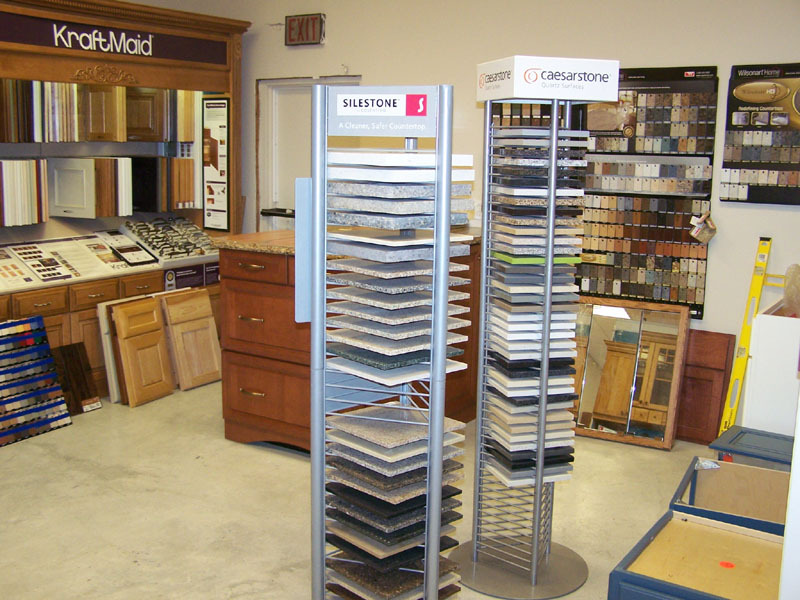 For your kitchen and bath upgrade, renovation, or for new building construction, our cabinetry and counter top choices are practically endless. 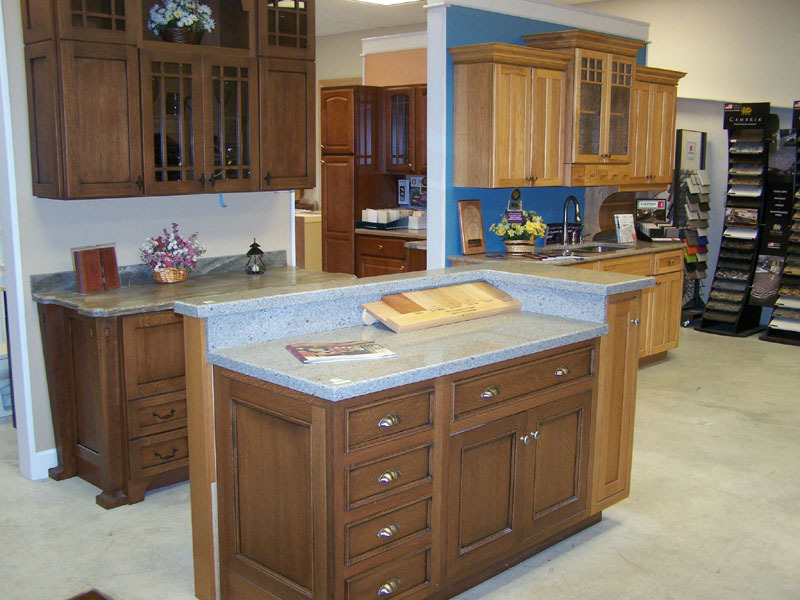 For years, Cooley's Do It Best Home Center has specialized in this area of remodelling and home upgrades. 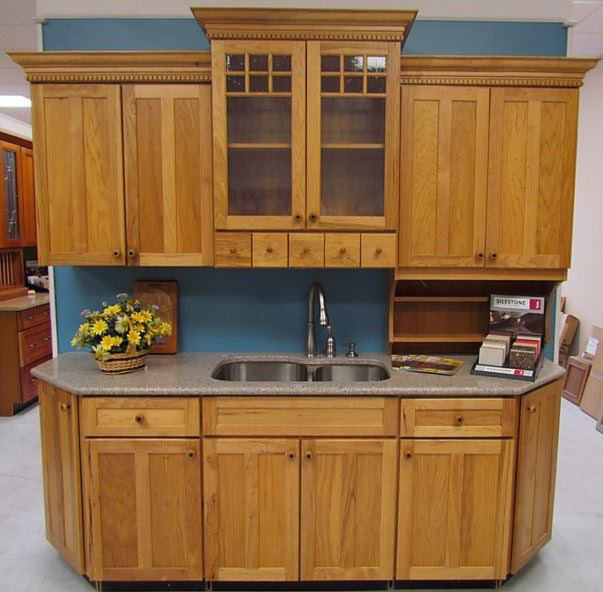 We offer both Candlelight Cabinetry and Kraftmaid, two of the largest manufacturers in the industry when it comes to variety of style, function, and beauty. The difference between our products and those of other brands becomes evident when you start comparing the craftsmanship. Candlelight's hard maple is graded to the level of "select." This durable wood features a very delicate grain pattern that blends well with all decorating motifs from traditional to contemporary. When Candlelight's Maple is finished with our light or Niagara Mist stains, the delicate grain patterns and create a burnished look. 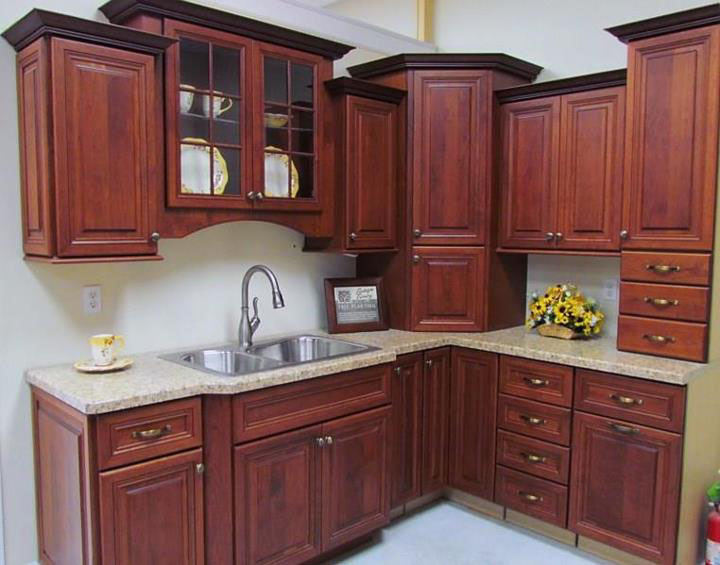 No matter the finish, expect a lifetime of beauty and durability from this popular hardwood. 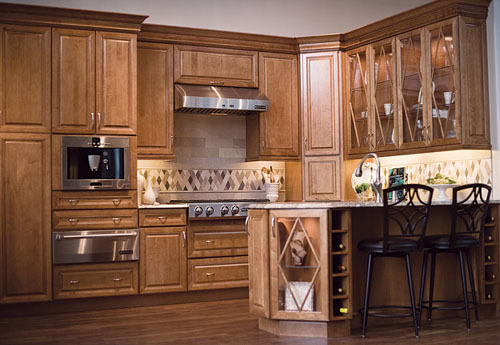 The simplicity of Candlelight's Shaker door has been artfully combined with angled and tiered height cabinetry to give this food prep area an eclectic, functional feel. 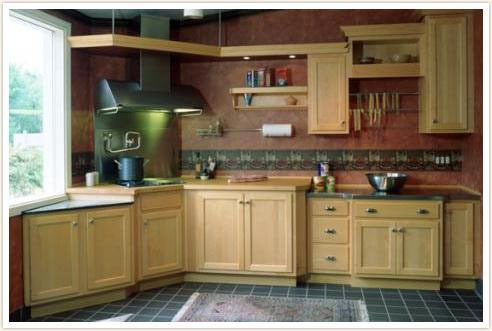 Take special note of the lowered baking center and open shelving. 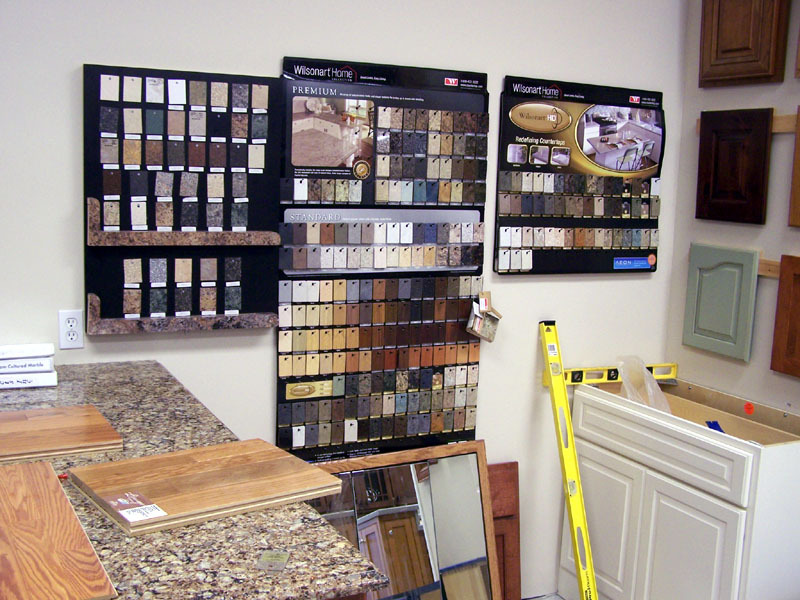 We understand that there are lots of questions and concerns when it comes to choosing your cabinets and countertops and we are always happy to provide the answers. 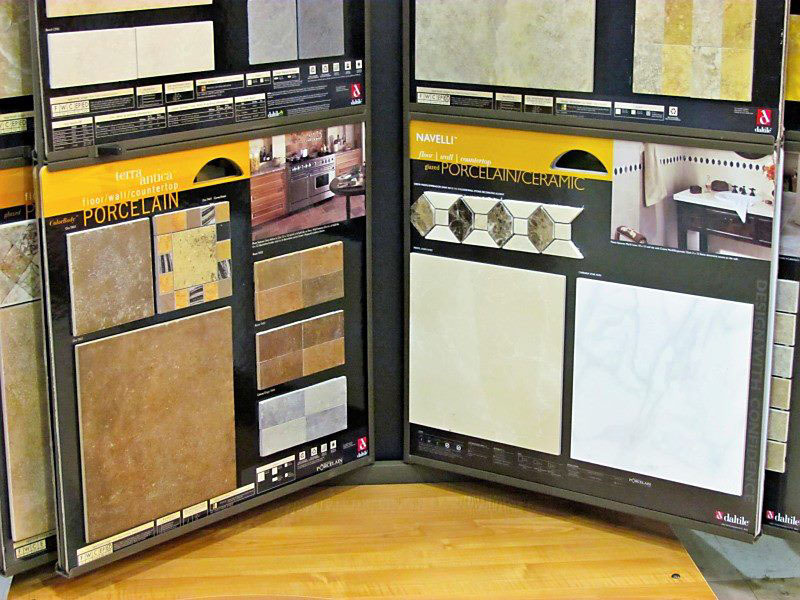 We welcome you to stop in and view our kitchen and bath displays and browse through our catalogs. 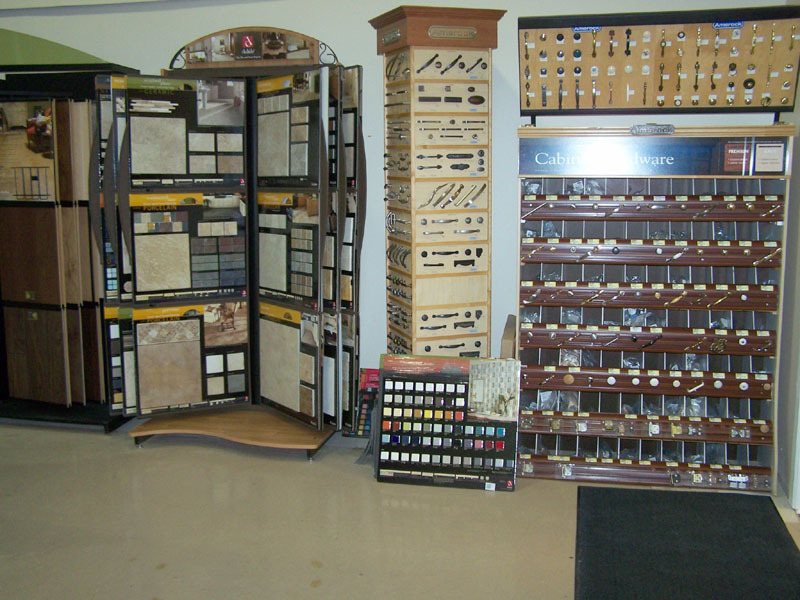 While the vast array of choices may seem a little intimidating at first, our sales staff can assist you in your decision making process. Here at Cooleys, you will never experience any 'sales pressure' to speed up your decisions or to make any quick choices between our products. We want you to be totally thrilled with your purchase and will go to no ends to see that your are 100% satisfied with our products and service. 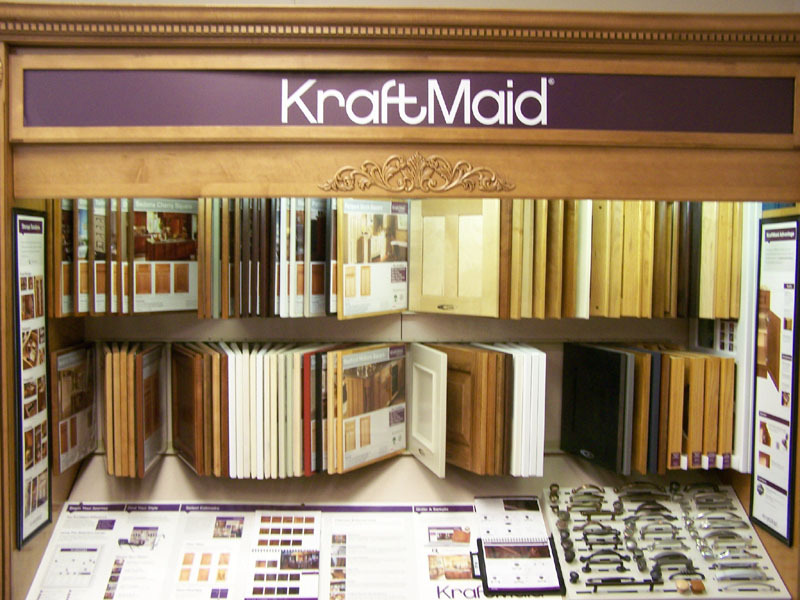 Kraftmaid cabinets are assembled here in the United States. 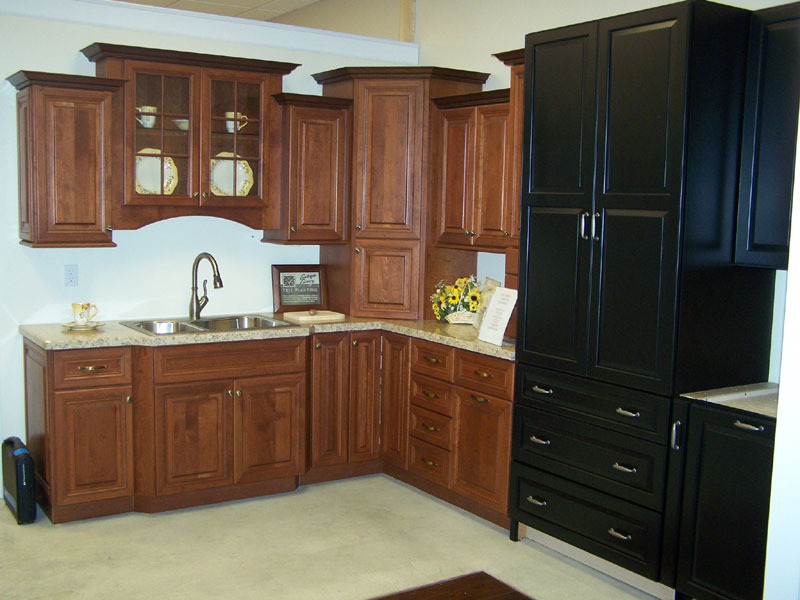 With more than 1.5 million square feet of manufacturing facilities in Northeast Ohio, we bring you the same kind of hand-crafted all-wood, dovetail drawer boxes and I-beam constructed cabinets that we sold from our modest shop over 40 years ago. 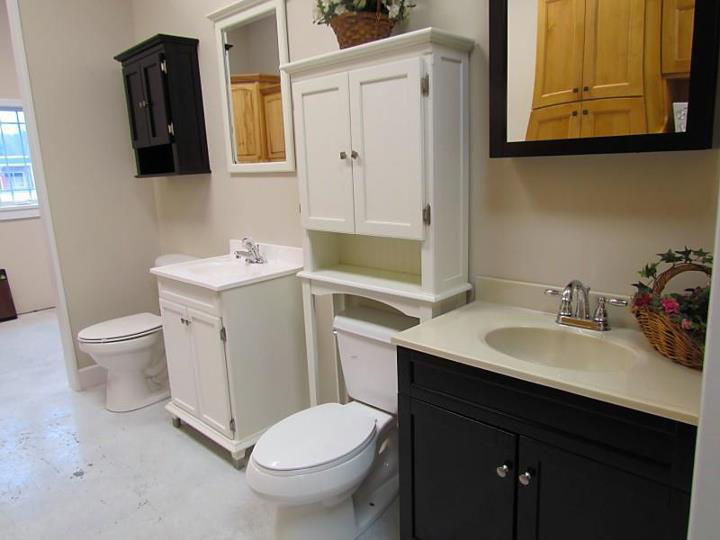 We will work with you every step of the way from start to finish. 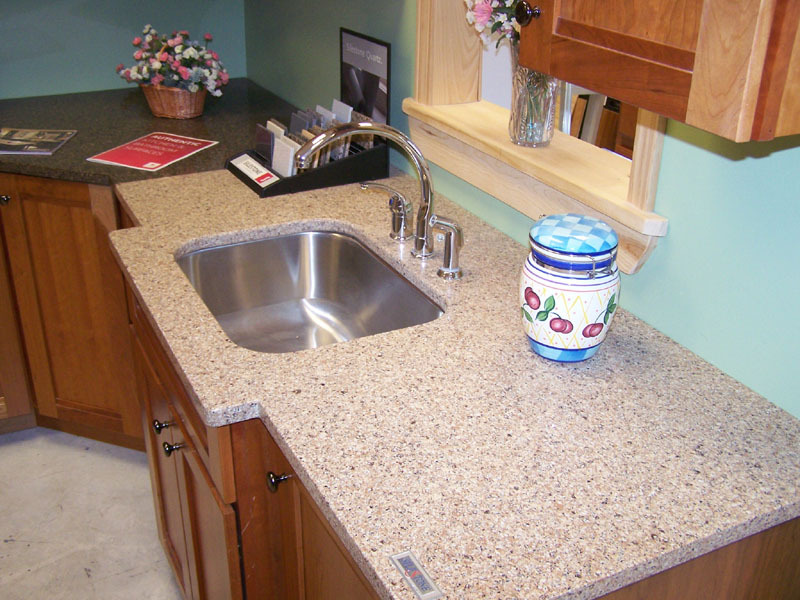 Your satisfaction is important to us and we know our business depends on it. 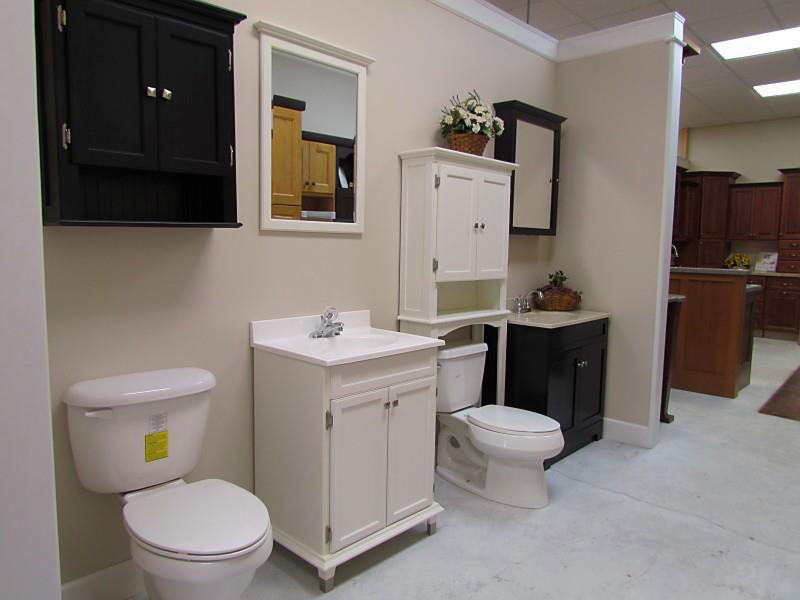 "We at the Cooley's DIB Home Center are committed to total customer satisfaction through the dedicated involvement of all of our employees. We appreciate your business and welcome the opportunity to serve you!" Sat. 7:30 a.m. - 2:30 p.m.